So today I was searching for a out of print volume from 1955 on Kykeon, the beverage of choice in the Eleusinian mysteries. Unfortunately, this book is a little tricky to find. I did eventually track one copy down in a city that I can at least get to easily. The volume in question, Armand Delatte’s Le Cyceon, breuvage rituel des mystes d’Eleusis offers Google and other book-search sites the opportunity for word chaos. Rather than just admitting the the word kykeon or cyceon cannot be found during their searches, they offer nearest equivalents… which is how cyceon turned into cushion. And that available to buy right now is the the fabulously titled My life as a walrus whoopee cushion. Yep, that book exists. Well we worked out how she is getting out of the ball, the wee thing has chewed the lid so much that if she pushes in the right way it just pops out. Now normally when she fell out the ball before, she just sat there looking stunned. But now? Oh no, now she starts scampering away in the direction of whatever seems interesting. All I can say is thank god for electrical tape… it keeps her in there. We don’t have to put in on both ends yet (the ball has two access hatchs), but I can only imagine its a matter of time. So the normal service thing was a bit of a grand claim, but I am back (although I can never tell for how long). The conference last week was really good. Kind of daunting at times as it was the first ‘big’ conference I’ve been too. By which I mean it wasn’t a postgrad gig, nope, this one had lots of big-wigs. I got introduced as a token postgrad, a couple of the others speakers did too, which did nothing to help my nerves. As it happened, I’m glad I decided to draft an article-like presentation and read that, rather than just ad-lib as I usually do. No one ad-libbed, making that idea a sensible one. But the paper seems to go down well, and the feedback was positive so I think there is hope for this one getting published once its revised into a proper article. This is the other big thing, the corrections have all been approved – just need to sort out the grammar and then that is done and can be printed and submitted. It is going to be strange not having it around any more. Ok, so the blog has been silent for quite some time. But what do you do when you reach the end of something that you have been working towards since you started your education. I had a meeting with my internal examiner today to check over the last of the minor corrections brought up at the Viva. One of the topics that was touched on briefly was the slump that follows the acquisition of the PhD. After being assured that ‘yes, that is completely normal… and expected’, its still difficult to get back into the proper way of working. My got up and go has basically got up and gone. However, with the start of the new term, I realise that this is not an individual problem. Looking at many of the academic blogs I read, I’m now convinced that everyone slumps at this time of year. Another part of me is wondering if writing again on the blog will help me get things sorted again in my head, or even if it does not solve stuff, it will at least get me actively working again. I not only like the first pair… I loved them – so much so that I now have another pair. Going better than perhaps I give credit for. I have conference papers to give, articles to develop from them, teaching and tutoring lined up for the next academic year, and proposals in waiting for feedback or approval. 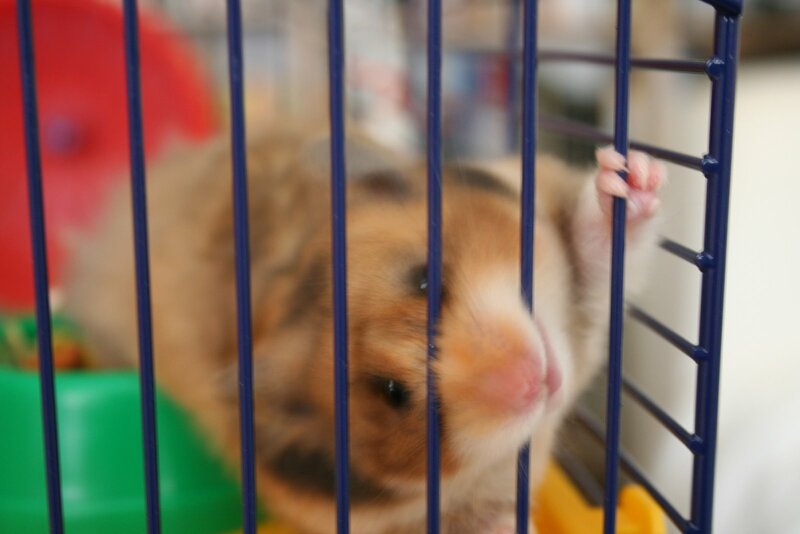 We got a pet, a small, very fluffy hamster who appears willing to do almost anything for food. And as alarmingly demonstrated last night, is rather intelligent. The little minx managed to open her exercise ball from the inside… we have no idea how she did it but we’re not planning on encouraging her to demonstrate the technique in future. 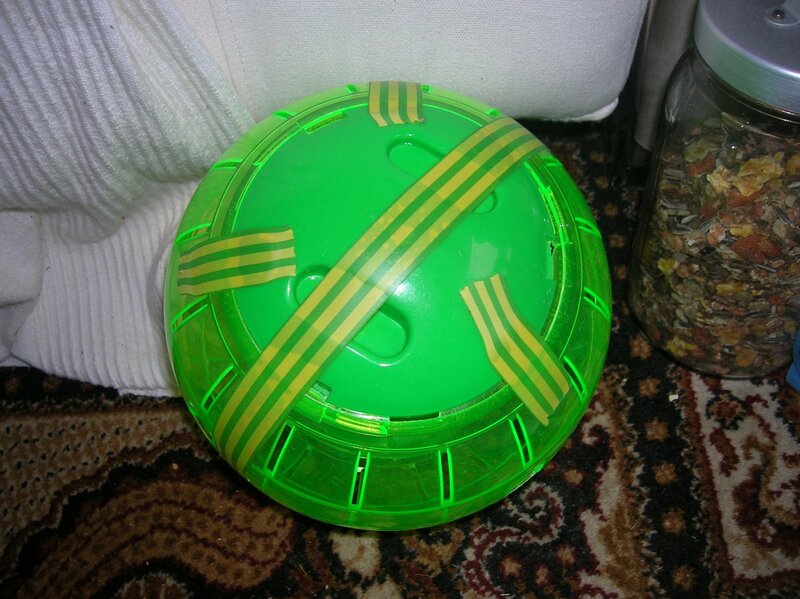 Although we are now worried about cage security, so as a preventative we have paper-clipped her cage doors shut.